Home/News/ENGEO Makes Top Ten Once Again! ENGEO Makes Top Ten Once Again! People at this employee-owned engineering firm rave about its servant-leader culture, supportive environment, and open communication. 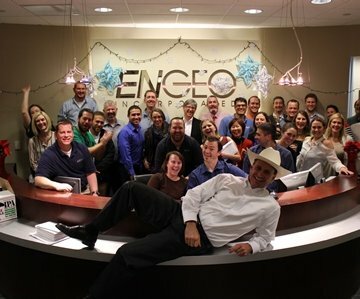 ENGEO was named by Great Place to Work® as one of the best workplaces in the United States on their annual 2014 Best Small & Medium Workplaces list, published in FORTUNE magazine. Ranked 6th, this is the 5th consecutive year ENGEO has earned a top-10 ranking. The list has recognized companies with exceptional workplace cultures for the past eleven years. ENGEO participated in a rigorous selection process among many hundreds of nominated companies across the country. The process included an employee survey, an in-depth questionnaire about programs and company practices, and a culture audit. Great Place to Work® evaluates each application using its unique methodology based on five dimensions: credibility, respect, fairness, pride and camaraderie.